Your Bookkeeping Just Got A Whole Lot More Powerful! Review trends and respond quickly to stay on top of cash flow. Dig deeper if activities need investigation. 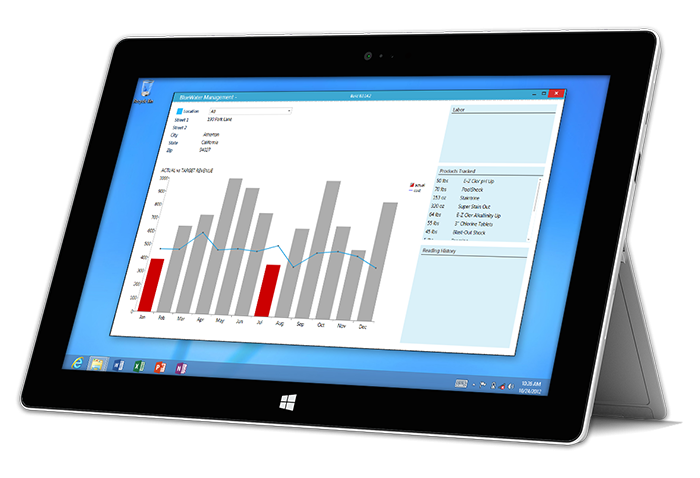 At-a-glance views of your profit and loss help keep you informed of your business' performance. Revenue doesn't always com in at the same time as expenses go out, and this is where understanding cash flow is critical. A well-managed cash flow is vital to the success of your business. Keeping your books balanced is just one part of managing your business. The Pool Program makes this a breeze with just a few simple clicks. Let the Pool Program do the heavy lifting! Instantly analyze sales, gross income, cost of goods, operating expenses, and net profits. Knowing the health of your business is key to success. Easily create invoices for your vendors, convert them to bills, and pay them - all in a few simple clicks. Keep track of payments to your vendors by creating and printing checks right from The Pool Program! Set up your subcontractors as vendors and issue 1099 forms quickly and easily. Track your bank account balances in the Pool Program by comparing your statement to our reconciliation tool. Quickly create general ledger accounts to track your business your way!